The clean slate of January 1st heralds a time when many of us embrace the concept of change and set resolutions for the New Year. With the all of the emotions and frenzy of the holiday season behind us, January is like a wide open field full of possibility. 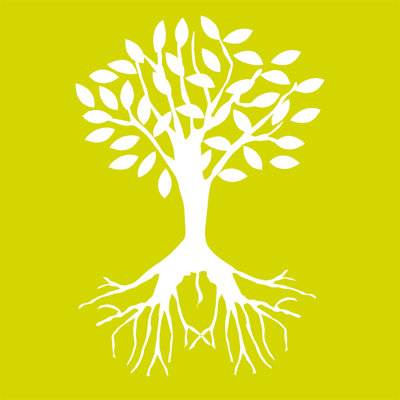 A tangible energy abounds as people move and buzz about with newly found purpose. But often by mid-February, the best laid plans often have gone astray. This leap year we have the gift of an extra day—today! Thus, it seems the perfect time to take a moment and reflect on our intentions: Are we making progress? If not, how can we capture and sustain the energy to best help us fulfill the goals or resolutions we set? How might we best use this extra 24-hour period to get us back on track? Rarely is something worth doing done easily; however, the approach we take to meeting our goals can make all the difference in our success, and might even make it easier along the way. I find that most people’s actions, adults and youth alike, are often at odds with their intentions. It is easy to have great desires, but much more difficult to conquer the self-defeating attitudes or behaviors that keep us from realizing our goals. In education, we are at the mid-way point of the year where assessments are administered and learning accelerates. It is important to periodically evaluate the strategies we are using for teaching or learning. Rarely is there a one-size fits all approach that will work for all lessons, learners, or material. Specific: Have you identified a narrow learning goal? Manageable: Have you identified discrete steps or objectives to meeting your goal? Achievable: Is this goal within your reach at the current time? Does this goal make sense considering your current grades or knowledge base? Relevant: Are you motivated to work toward this goal? Time Bound: Have you identified how long it will take to reach your goal? Rewarding:Everyone needs some kind of an external reward to help motivate and activate. What kind of reasonable rewards can you set to help you along the way? Each of these aspects of goal-setting work together. If your goal is not well-defined, it is likely not manageable or achievable. If it is not bound to a short enough time-period, it won’t be realistic, motivating or achievable. When I ask students what the plan is for learning material, the common answer is “Study.” When I ask them to tell me what that means, I often hear, “Look over the material.” Sounds too broad, boring, passive, and ineffective, doesn’t it? Study strategies are rarely explicitly and systematically taught or integrated into the curriculum; rather it is assumed that students know how to study, how to set goals, how to manage time. But many do not, and most learn by trial and error, or continue to use a system that is counterproductive. Repeatedly poor or inconsistent results have just as much to do with how one is studying as with what one understands about the material, and these results influence one’s motivation and tendency to procrastinate. While most students will say their lack of motivation is due to the boring nature of the subject, there is typically more to the story. It’s sometimes hard to identify if one’s diminished motivation comes from a lack of interest in the material, from genuine challenges with the concepts, or from continual poor performance on quizzes and tests, which often lead to self-defeating behaviors. However, encounters with success in any subject, I believe, can influence one’s attitude and motivation about that subject. Changing one’s habits around homework completion and studying can lead to success, thus decreasing procrastination and increasing motivation. If you find that your student is struggling with motivation, working hard but getting nowhere, or using the same ineffective strategies over and over, check out my Study Plan Guide, full of ideas for studying smarter not harder, and steps to help make the process more concrete and tangible. Completing writing intensive assignments, long term projects and studying all place quite a demand on one’s executive functioning. The consistent use of checklists, planning templates, and a step-by-step study guide can make all the difference for students struggling with executive functioning and attention issues. If you need help with goal setting, download the SMART-R Goals template. 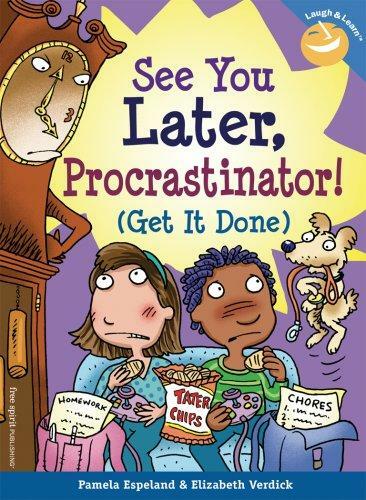 For a humorous and relevant approach to conquering procrastination once and for all, look for the book See You Later, Procrastinator! (Get it Done) by Pamela Espeland and Elizabeth Verdick. Their book is part of a series called Laugh & Learn published by Free Spirit and developed for middle school and high school students. Check out Free Spirit for other titles that aim to help kids get through a variety of life’s challenges, such as completing homework, dealing with bullying, managing anger, and developing social skills, to name just a few. Finally, download a podcast of To the Best of Our Knowledge’s recent broadcast on procrastination. Ever relevant and enlightening, To the Best of Our Knowledge consistently produces some of the best radio broadcasting in the field. Here’s to the best laid plans going your way today and every day!